This guide is about How to Start a Blog for Dummies, setting up a Blog for dummies. There are many Blogs on Blogger which are ranking well. Bloggers write good quality Blog Post keeping an intention to Make the readers Happy and to increase the user engagement. For every Blog, you must follow same method and rules. After reading you will be easily able to Start your first Blog Easily. So questions might pop up like How to make a Blog on Blogger? How to SetHow do I Rank a Blogger Blog? How do I Monetize my Blogger Blog? I will Explain you everything about Blogger Blog A to Z. 1) how to create blog for free and make money on Internet? – I will Explain in detail, and what are the requirements for it and what are the important steps to maintain your Blog. 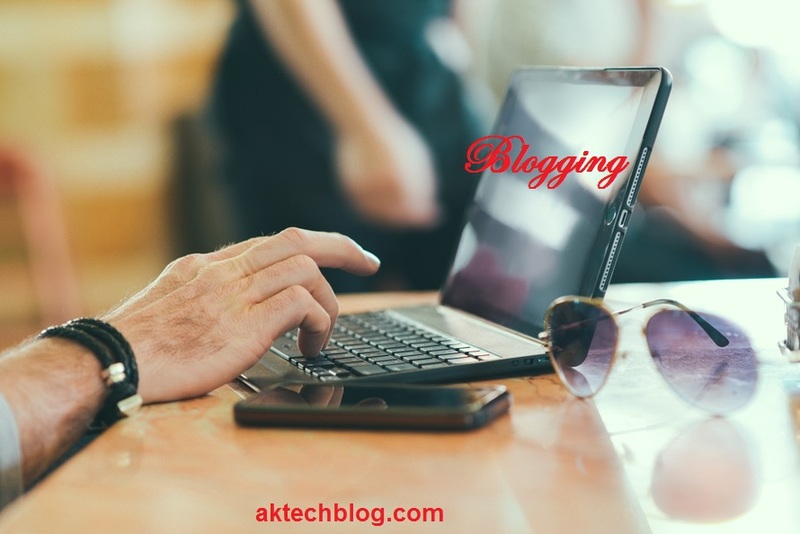 2) How to Set up a Blog using Blogger? – Set up for Blogspot domain and also for Custom Domain. 1 how to create blog for free and make money on Internet? 1.1 How to Set up a Blogger Blog with Custom Domain? 1.4 How do I Rank my Blogger Blog? how to create blog for free and make money on Internet? The basic requirement is a Google Account, and a domain either you can select a Blogspot domain or Custom Domain from Godaddy for a Blogger Blog, hosting and templates are Free. First, you need to sign up for Gmail to Start with Blogger. Go to Godaddy or on Bigrock and get Custom domain. Selecting Domain name depends on your niche. Either you can go for an exact match or for branding name. Exact match domains have pros and cons. If you are looking for long term go for a branding name. Once you have you Domain you need to do set up of the Blogger blog. How to Set up a Blogger Blog with Custom Domain? #1) If you selected a Blogspot Domain, you can enter the suitable name for Domain and you can add a template and Start Writing. #2) If you have Selected Domain, then Log In to your GoDaddy Account, then Hit to My Account at the top right side. #4) Under DNS Management you will see the Option of Launch. Wait for little time, it will be done. Now the setup has been done, you need to add a suitable template. There are many free Blogger Templates which you can save and add it. Just go to Template option, first Backup the Blog, then upload the XML file of the New template and hit the save. There are many Free Blogger Templates. You can easily change your Template on Blog. Add your Site to Google Webmaster and Google Analytics it’s totally free and beneficial. Google Webmaster will help you to fetch your site on Google so that it can be indexed fast on Google. Even you can check the backlinks, internal link, site structure, HTML improvements and also can do Internal Targeting for your site. Open Google Webmaster > Add a new Property > Enter the URL. You will get 4 different methods to verify the ownership of the site. Select any one method and verify the ownership of the Blog. Google Analytics will give you a deep information on the traffic stats. Like user engagement, page sessions, and much more that can help you to count real visitors. Google Analytics will provide you real traffic report of your Blog for free. Now start writing Content regularly, write at least 1k words content for each post. Add Headings, subheadings. Use Grammarly a chrome extension for correct spellings and grammar mistakes. Update your Blog Daily. A Site like Moz writes daily 1 Content, so it has more trust and authority. Create and Submit a Sitemap of Blogger Blog to Google Webmaster. Also, try to Improve the Alexa Rank of your Blog. How do I Rank my Blogger Blog? Before I Wrote an SEO Guide you can read that. But Ranking a Blogger Blog do not have any special Rules, it has the same SEO rules. The main Drawback is you cannot install Plugins like the Wordpress has the feature of Plugins. Website Ranking is must for increasing the traffic of your Blog. SEO Rankings can be done well if you Understand How Does Search Engines Work. Search engine Ranking can help you to gain more organic traffic. First, you need to Focus on On Page SEO. 1) Make the Permalink custom, add the main Keyword in your Custom Permalink. 2) Add the search Description. It is like meta tags, Search engines will read this description so insert proper keywords with sentences. 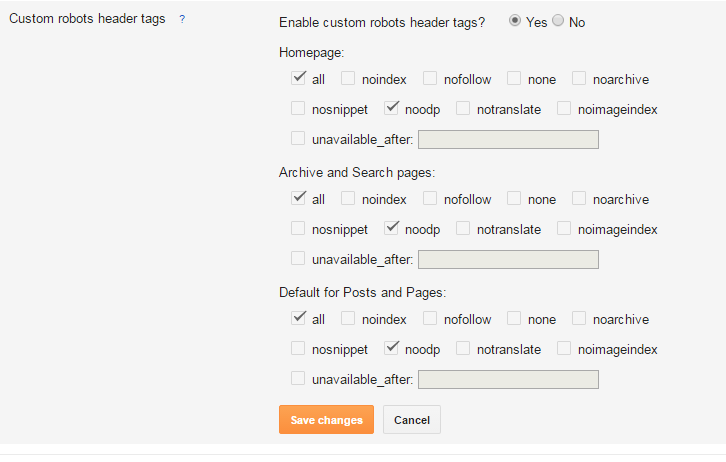 3) Make the changes in Custom Robots Tags & Custom Robot Header Tags. 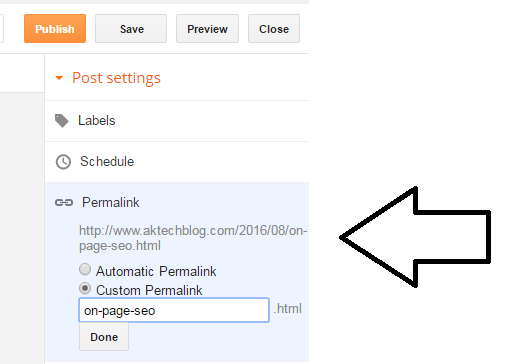 Just replace the aktechblog with your URL. 4) Write Unique and Long Content. 5) Place your Main keyword in the first and last paragraph. 6) Add the Alt tags to your Images. 8) Add High-quality Images and Videos. 9) Insert LSI keywords and Untapped Keywords. 10) Make the site structure unique. 11) Internal Linking to increase the user engagement on the site. #1) Blog Commenting – Start Commenting on the related Blogs. Suppose if you have a Blog of Laptops, then comment on Laptops related Blogs. For Laptop Blog if you are commenting on Blog of Cars, it will look unrelated and if it is huge in numbers, google may penalize you. Dofollow links pass the direct Juice, but you cannot make 100% Dofollow, it won’t look natural link building. Make it 70% Dofollow and 30% Nofollow. You can check the list for Dofollow comment Luv enabled Blogs. Also, you can find the Dofollow blogs for your Keyword. Just go to Dropmylink and enter your Keyword you will find the list of Dofollow blog for your keyword. Tip: If you are trying to rank high competition keyword with only Blog Commenting then it will take too much time or the waste of time. Only with Blog commenting you cannot rank high competition Keywords. 2) Social Network Shares – Social media plays an important role in internet marketing. Nowadays literally everyone uses social media especially Facebook. List of Social Networks where I Share my Blog Posts. This will increase the branding of your site. Expired Tumblr Blogs works very well. I had written a guide on How to find Expired Tumblr Blogs? If you are creating multiple web 2.0 properties on the same site, I suggest you buy proxies. If you are looking for cheap proxies then try Buyproxies. You must write hand written content for web 2.0 sites as if they are your money site to make it more strong and more natural. Some of the Blogger uses the Kontent Machine or WordAi to write Contents for Web 2.0 properties that is tier 1. But I prefer Hand Written Content. For tier 2 and tier 3 you can try spun content. You can buy tons of Backlinks from Fiverr for your web 2.0 property that is tier 1 with this you can make your tier 1 live and strong. There are many Sites like Fiverr from where you can get tons of backlinks for tier 2 to link to tier 1. You can also use SEO tools like FCS, RankerX or GSA to Create Web 2.0 properties automatically. FCS and RankerX work well for tier 1. GSA works better for tier 2 and tier 3. I prefer variations of Backlinks like manually and also with the SEO tools. But First Understand how to use these SEO tools, then only try it. Don’t buy these crappy links from Fiverr for tier 1, it’s ok if you buy it for tier 2 and tier 3. 4) PBN – PBN stands for private Blog network. Many of the Bloggers still rank with PBN but it is complete Blackhat. I never tried, but mostly Webmaster create Private Blog network for High Competition Keywords like Insurance, Bank loans, etc. It is very hard to rank high competition Keywords. It is a bit complicated process and you need to do investment for expired domains, multiple server, and proxies. Finding expired domains is a bit time-consuming process, you need to check the backlink profile, metrics and whether the domain has been penalized before or not. If you got an expired domain which has been penalized before, then it can hurt your money site. You must use majestic tool to check the backlink profile of any expired Domain. 5) Guest Post – This is one of the best and common way to get a backlink with author name. There are many blogs which allow guest post, you can email or message them and send your proposal. If the content is good then be ready for too much of good traffic. 6) Forum Posting – There are many popular forums like Warriorforum, Digital forum, Blackhatworld you can post the link in any of the comment section related to your post. 7) Tiered Link Building – Read the Matthew Woodward Guide of Tired Link Building, a Perfect Strategy to rank the Blogs. There are several ways to make money with your Blog. 1) Affiliate Marketing – Sites like Amazon, eBay, Clickbank have the huge list of their products, you can sign up for their affiliate programs and promote their products on your Blog. You will earn commissions as per the sale. The more you sell the more traffic you get. Try to get targeted traffic for better conversions. If the buyer refunds the product, your commissions will get deducted. Write a Review of at least 2k words so that user engagement will increase and it will help for conversions and sales. It is the Best way to Monetize the Blog. 2) Adsense – Google Adsense is in demand but has some strict policies for it. The Banner ads are displayed on your blog of different size. You will get money as per the clicks and Impressions. If you want to make more money with Adsense try to find keywords which have high CPC so that you can make more. The keyword Insurance has the highest CPC but the competition for the keyword Insurance is too much high, so it will take too much time to rank. So find the Keywords which has less competition and high CPC. Use tools like Google Keyword Planner, Semrush or Long Tail Pro. 3) CPA – This is all my time favorite method, it is better than Adsense and affiliate marketing. CPA means cost per action. You will receive $$$ as per the actions were taken by the users. There are many CPA networks for Newbies. Sites like Maxbounty, Peerfly, Adworkmedia have a great list of CPA offers. They have the different niches offers like dating, survey, finance, health and much more. It’s not like affiliate marketing, if the buyer returns the product your commissions gets deducted, there is no option of the refund. You can read the Guide of Maxbounty, how to get approved for Maxbounty and promote the CPA offers of Maxbounty. 4) PPC or Direct Ads – There are many marketers who love to advertise their product or site in the form of PPC ads, you can get good proposals if your Blog Metrics are Good. Metrics like Domain authority, page authority, page rank, etc. 5) Sponsored Reviews – You get paid mostly by App developers, New Companies to promote their product in the form of the Review on your Blog. You can either contact them directly or there are some sites like sponsoredreviews.com, get reviewed, etc. 6) Sell Services – I am tech Geek so I Mostly sell the Link Building Services, Content Marketing, Consultancy and much more related to it. You can also try to sell your own products. 7) Flipp the Blog/site – I recommend if your Blog is at least 6 months old then only try this. The basic and the common rule for flipping a blog is if your Blog is generating $1k per month you can easily sell it for $10k. Mostly you get the price 10 times your monthly Blog Income. These are the different website monetization strategies. And still, if you think that you Blogger is not much SEO friendly like WordPress, then you can Move your Blogger Blog to WordPress. You may be the admin of the Bog on Blogger, but still it’s not under your full control. You can be deindexed by google without giving you a warning. Blogger is providing you free Hosting, some of the people can’t afford Hosting. So, it’s better to Start with Blogger. So now it’s your turn to take your ideas into Action. Make your own Blog. Select a niche, domain, keep on writing the contents regularly. Monetize your Blogger Blog which you want, Do proper SEO and wait for the Results. If you think you got some Quality Information about my Post of How to create blog for free and make money please do Share it on Social Profiles.